Business leaders and local dignitaries gathered at the opening of the new £7.4m Explorer facilities at the North East Technology Park (NETPark), in Sedgefield, County Durham, which are designed to house innovative, fast growing companies operating in high-tech, global markets. Business Durham, the economic development organisation for County Durham, received £3.2m investment from the North East Local Enterprise Partnership’s Local Growth Fund towards the cost of the Explorer development, which already houses two new tenants, x-ray imaging specialist IBEX and electronics firm PragmatIC. 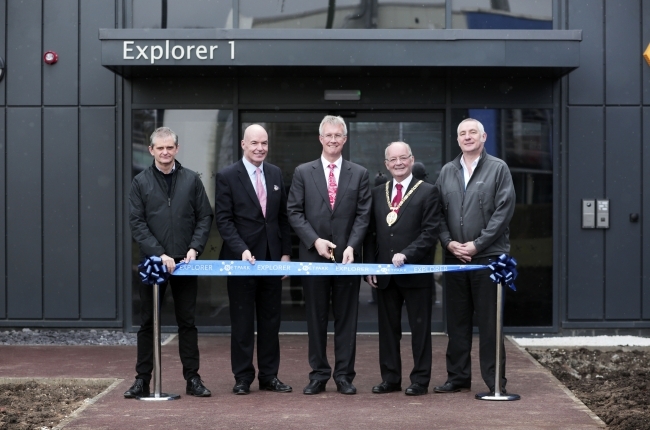 The Explorer building was officially opened by Stuart Martin, chief executive officer of the Satellite Applications Catapult. Councillor Simon Henig, leader of Durham County Council, said: “NETPark is already home to some of the world’s most innovative businesses and the Explorer development will open up even greater opportunities for companies to grow and flourish here. Helen Golightly, executive director at the North East LEP, said: “This is an exciting time for the North East as we work to grow our economy and we’re delighted that we’ve been able to support Business Durham to bring forward the new Explorer facilities on NETPark.